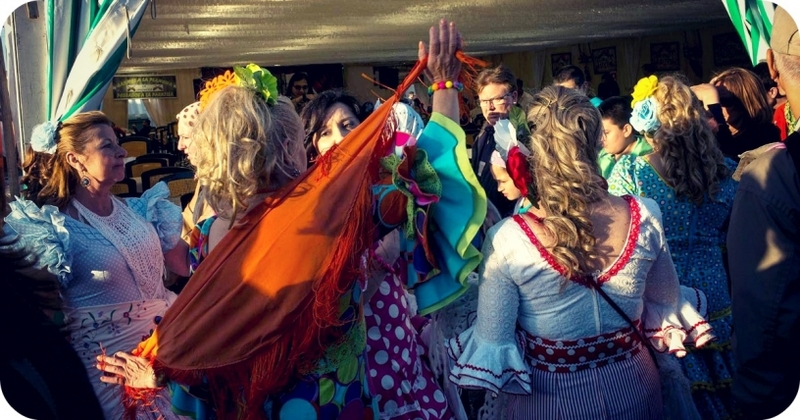 Catalonia April Fair — Sevillanas and fun-fairs! The Feria de Abril of Catalonia is a popular festival of Andalucian tradition which takes place in Barcelona and lasts for 10 days at the Parc del Forùm. Around 500,000 visitors attend the event during the weekends, which is celebrated one or two weeks after Easter. This year, so get ready to celebrate from Friday 26 April until Saturday 04 May 2019. 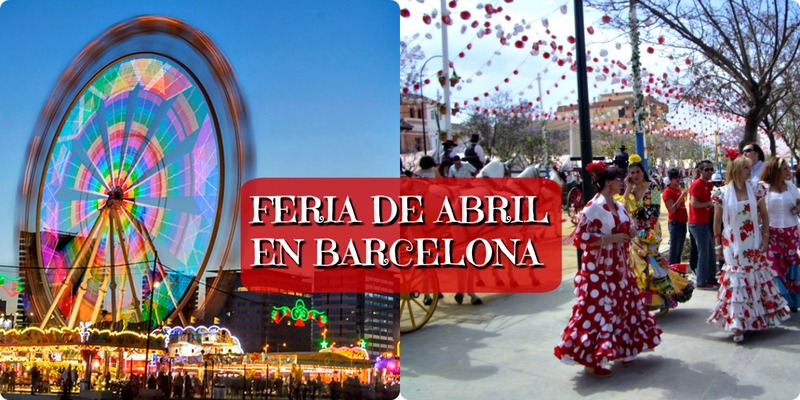 The Feria de Abril in Barcelona is not as popular in Barcelona as the April Fairs in the south of Spain. 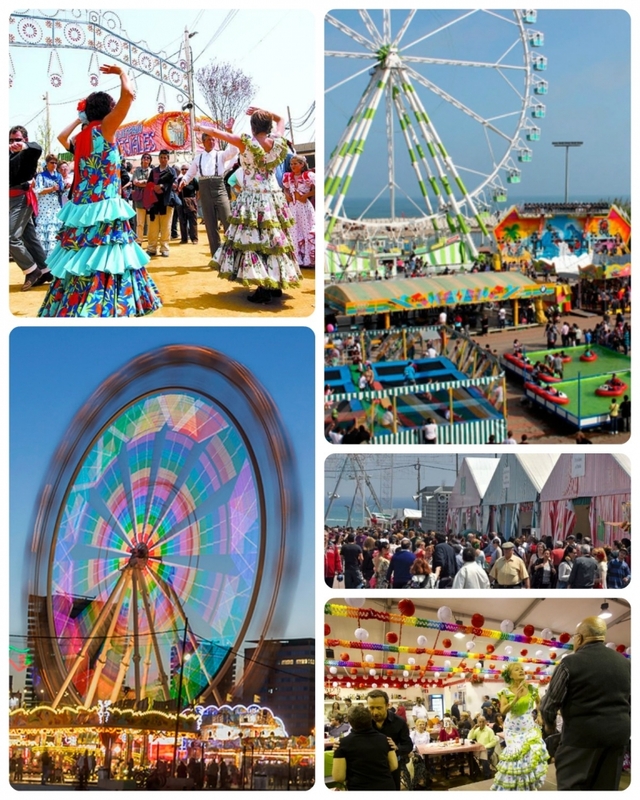 One thing is clear: the Feria de Abril in Barcelona is a very colourful and joyful event. The April Fair of Seville goes back to 25 August 1846 when two city councillors drafted a proposal asking the city council for a fair for agriculture and livestock. The fair was authorized on 5 March 1847. The first fair was opened on Sunday 18 April 1847, with 19 stands and was a public success. Over the years, the fair developed into a fun, social event. In 1971, groups of migrants coming to Barcelona from Andalusia started their own version of this fair in Casteldefels (Barcelona). The fairground area on Calle del Infierno with hundreds of rides and attractions for the public. This zone occupies 29,000 m2 and has a Ferris wheel from which you can enjoy spectacular views over the city and the sea. The area with 100 marquee tents and bars operated by a variety of organisations which occupy 58,000 m2 of the fair. In each tent, you will find a merry crowd of visitors who eat, sing and dance the traditional dance "Sevillanas" of Andalusia. The largest tent is the tent managed by the Federation of Andalusian Cultural Entities in Catalonia (FECAC) where you can find a series of free concerts and shows. Sevillanas, fun-fair and a lively atmosphere! Traditional tapas including Iberian ham, cheese and tortilla, as well as other tapas. At the fair, each stand will prepare the stew of the day and other food such as chocolate potatoes, chickpeas with cod, stew and other typical Andalucian dishes. At the fair, in addition to food, soft drinks and alcoholic beverages are also served. You will find a lot of draught beer although white wine is usually more popular. There are two varieties of Andalucian white wine served at the feria: (1) Jerez de la Frontera fino sherry or (2) the dry white wine called Sanlúcar de Barrameda. The Rebujito is cocktail with sherry with lots of ice and 7Up or Sprite, which are soft drinks with a lemon-lime taste, or with soft drinks from other brands. It is served in 1 litre jars accompanied by a few shot glasses and they are usually to share. This video highlights the planned activities at the feria. 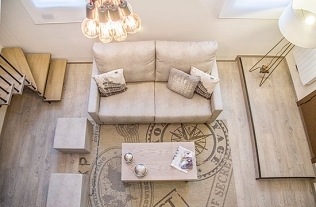 Take a look to see what awaits you.